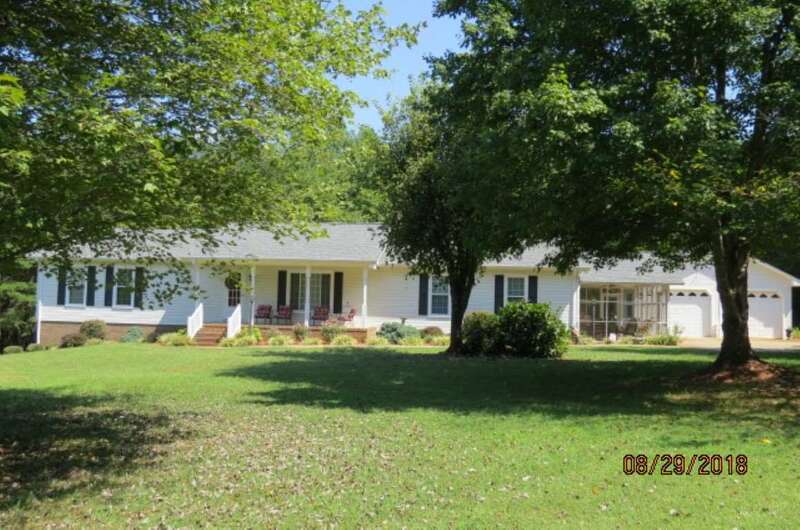 Extremely well maintained 3 BR, 2-1/2 BA rancher with partial basement. 24-1/2 x 28-1/2 detached double garage. Living room has fireplace with gas logs. Large family room with attached 12x26 screened porch. Basement could easily be finished. Two additional outbuildings will convey. Roof new in 2015 and heat pump new in 2012. 10.63 beautiful acres with public water and tractor shed, picnic area and some of the land being cleared.